So, when it comes to my novice shaver, I can honestly say I have never really been true to one single brand. I have jumped around a lot. 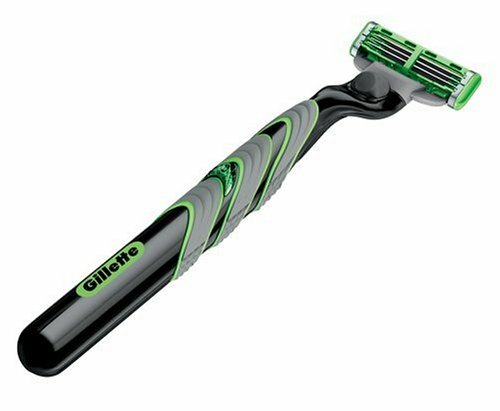 I will say though, the only razor that has an actual spot in my shower, not just in the drawer with all the other ones- is my Gilette M3 Power Razor… Its electric and goes in the water just like a normal razor. I think its actually a guys razor but I could really care less. Its awesome for a really close shave and no knicks, which by the way I think I have managed with almost every razor my entire life. Sooo until about a week and a half ago my little Gillette M3 power was my baby- I wouldn’t have dared stray from that razor…. 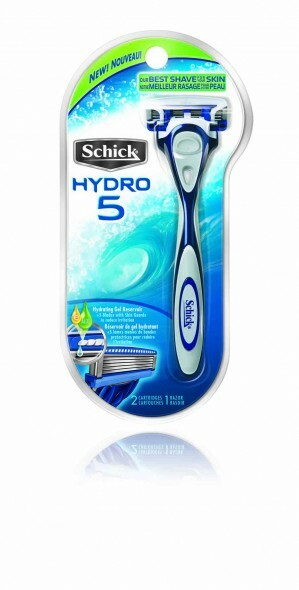 until … the Schick Hydro 5 came walkin’ by. A razor that seriously even when I have no hair on my legs still makes me want to jump in and shave. Its incredible. First of all it has 5 blades. All the other razors I have ever trusted had no more than 3… but 5?? Oh and the best part- I have no clue if this is for a guy or a girl but it has yet to give me the slightest cut. However, when I told this news to my mother she warned me about how my dad had cut his face…. not sure if that should mean anything to me or anyone else… But I have a feeling it doesn’t. :/ Oh wait, I just asked my dad how he cut himself and apparently he cut his lip…? Why he was shaving his lip is beyond me, but hey its Mr. Hay. Anything goes. So the reason why this razor is so badass? Umm, because first of all, like I said it has 5 Blades. Second of all it has this so called “gel reservoir” that basically is like Aloe and Vitamin E. Now we all know every razor company says their shavers have this but after I used the Hydro 5, it didn’t feel like I immediately needed to put lotion on or anything. My legs literally felt the same except for they were smoother than buttaaa. But then again maybe there was no irritation because of the sweet skin guards? Yes, skin guards on each blade. Overall I can’t say that I will be using any other razor any time soon. It is LOVE. So now go go, buy one of these tools from heaven. They sell them at obviously the grocery store and pharmacies OR you can buy it the Alexis way and get it on Amazon… BRAND NEW… with shipping and everything its about what $5 or $6. Thats meaning $5 of heaven on your legs or face. If you do decide to try it out make sure you let me know how you like it on here!